A couple of weeks ago, our Publisher & Chief Scribe, Stacy Zemon, suggested I explore the topic of programming music sets for various types of events and audiences. I agreed, but upon later consideration, determined that I had stepped off into deep water. Music programming theories can be as varied as those doing the programming, but there are some basic guidelines to which most DJs should adhere. I think we can all agree that the most important part of your performance is your music selections. In fact, those at your event very likely will make their decision as to whether you’re a good or poor DJ based on the music you play. For new mobile DJs, it’s critical to quickly “mature” and become very familiar with the music of many decades and types or genres – not just the current hits. Depending on the event and the audience, you’re likely to get requests for a wide range of music. Should a guest approach you and request some “50’s music” and you’ve never heard of Ritchie Valens, The Drifters or the Big Bopper, or songs like “My Prayer” or “Put Your Head On My Shoulder,” you could be in trouble. The same goes for the decades of the 1960s, or 1970s, and up to the present. Each of these decades saw thousands of songs released; however, only a handful of those releases became hits and an even smaller handful became the iconic hits that have remained popular through the passing years. These are the critical songs a DJ needs to know and have in his or her library. First, let’s understand a couple of truisms: When programming music you must adapt your musical message to your audience. Those folks on the dance floor – or those you want on the dance floor – care absolutely nothing about your personal tastes or your favorite tracks. 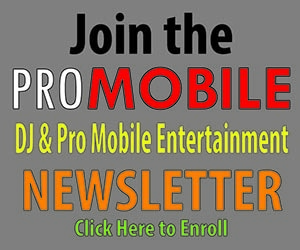 The single most common mistake made by new mobile DJs is allowing their personal preferences to influence their music selections, thus turning off their audiences. You must get mentally and emotionally in tune with your audience. Understand this – people respond to the music they know and like. This is as true today as it was thirty years ago, and will probably be just as true thirty years into the future. I’ve found songs that, in my opinion, would absolutely rock the house. However, when I dropped the track at the event, it emptied my dance floor. Why? Not because it wasn’t a great song, but rather because my audience was not familiar with it. The dance floor is not a place to experiment or attempt to change musical tastes. You simply can’t go wrong by sticking with the basics. Here’s something else to consider: Are there songs you are simply sick to death of hearing, or you never liked to begin with? You bet! We all know songs like that, and may ask ourselves “Why does my local radio station play that old 1970s song ten times a day?” They play it so often because they know their audience likes it. If there’s a particular song which you dislike or are tired of hearing, but your audience likes it, then smile and play it for them. Your music library holds the tools of your trade and you should have a wide range of “tools” or songs to fit any audience or situation. This seems obvious, but some new mobile DJs haven’t come to fully realize this fact. There are songs which will work for certain jobs or audiences, but that very same song will fall flat with a different audience. 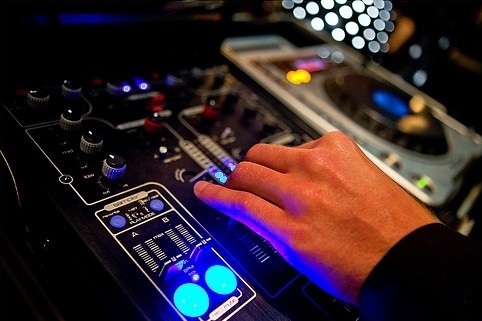 Thus, another critical skill for the new mobile DJ is to learn which songs to play and when to play them. For example, you’re doing a wedding reception and you look out across your audience and note there are a number of middle-aged couples (in their 40s and 50s). These folks tend to like country music, so you’ll want to have some country sets on hand for them. Also, as a rule, people in this age group tend to like slower songs. A word of caution: you don’t want to let your country set run too long and risk losing the interest of the other guests. You’ll want to play two, perhaps three country songs and then transition into another genre – perhaps an oldies R&B set. In any case, you’ll want to make sure you’re playing some tunes for the entire audience and not just the new mobile folks who are requesting the latest hip-hop tracks. In the next installment of this three-part series, I’ll delve deeper into programming music sets for different types of events and audiences.